cook their way out of the fast food dungeon. 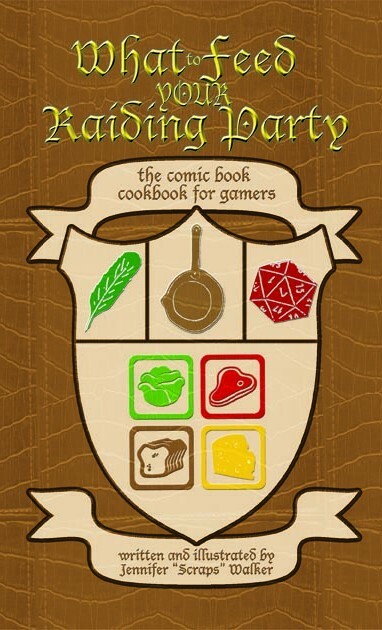 Whether your goal is entertainment (we’ve got it with 90 pages of comics), good food (over 75 recipes inside), or leveling up (more than 20,000 XP to be earned): you’ve come to the right place. Learn more about the process of making the book and keep up with news over at the blog. Join the community and take advantage of leveling up your cooking stats here on the forums. Order the book if you don’t already have it or need to buy an extra copy for a friend (it makes a great gift!). Or shop our Zazzle store for Raiding Party merchandise like t-shirts and aprons.